Many advanced golfers or the ones who are just beginning to learn the game, will find Thousand Hills Golf Resort an ideal golf destination to visit at any time of year. The panoramic landscape and the spectacular rolling hills of the Ozarks provide golfers the perfect backdrop for a beautiful Branson golf experience. The variety of golf courses that you can find in the resort, from the challenging to those easy for choosing a quick nine holes, will definitely delight anyone looking to enjoy an exciting golfing trip in Branson. Branson golf enthusiasts can easily discover how they can enjoy their day in the beautiful golf course where many locals and visitors alike love to play. The stunning 18-hole golf course at Thousand Hills Golf Resort is majestically surrounded by the most beautiful landscape that you can only find in Branson, wooded valleys, and fascinating streams. This popular golf course in Branson features gorgeously manicured zoysia grass fairways, U.S.G.A. Crenshaw Bentgrass greens, fescue roughs, a pro shop, and an expansive clubhouse. As home to the most popular 18-hole golf course in Branson, Thousand Hills Golf Resort also gained its popularity because it is nestled in a secluded place but is actually near the heart of Branson just two blocks south of the Grand Palace and Andy Williams Moon River Theatre. The sculptured fairways with unique sand traps and natural Ozark hazards can help make your golf playing an enjoyable one. Your unique Branson golf experience at Thousand Hills Golf Resort and other exciting attractions that you can enjoy around the area are the things that can give you unforgettable memories. As an award-winning golf course and being the most popular golf course in Branson, Thousand Hills Golf Course is also a recipient of a 4-star rating from Golf Digest magazine. And if you are looking for a golf course that will test and challenge your golf skills, no other Branson golf course that can deliver like Thousand Hills Golf Course. As one of the best golf destinations in Branson, you can be sure that Thousand Hills is truly the most challenging of all golf courses in Branson, Missouri. With a Robert E. Cupp design, and Michael Riley as a course architect, Thousand Hills is considered by many golfers a thrilling test for players of all golf skill levels. 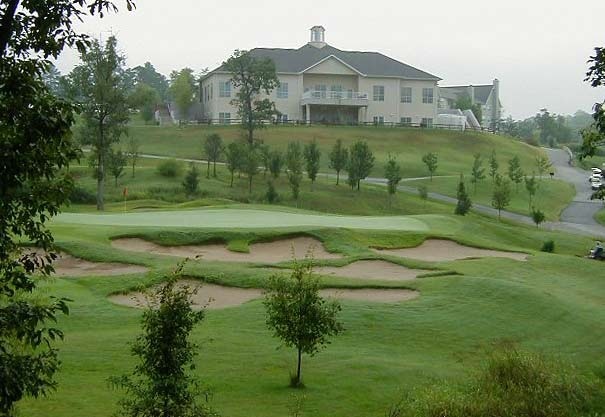 As the golf course is beautifully surrounded by the beautiful natural scenery of the Ozarks, this golf course in Branson is graced with all the comforts of a premier and first-class golf facility. The convenient location of the golf course near the heart of Branson genuinely separate Thousand Hills from other golf courses in Branson. With great features of amenities such as practice putting green, snack bar, swimming pools, tennis courts as well as meeting and banquet facilities, no one can ask for more. Aside from being recognized as the most popular golf course in Branson, Thousand Hills also has the most challenging courses for advanced golfers.